Written by Mark Forrester on July 14, 2014 Blog. There’s been a flurry of activity at WooThemes this month. Canvas child themes, our birthday celebrations, the announcement of WooCommerce conference, and now a hugely exciting release that hopefully comes as a welcomed surprise to most of you. A WooCommerce iPhone app for storeowners. Quietly in development for many months this was a collaborative project with our talented extension developer partners Max and Justin over at Skyverge. Read their blog post for more news on the features, and future plans. With WooCommerce 2.1 and it’s REST API a whole world of opportunity is now available for developers allowing deeper integrations with third party eCommerce service providers. This iPhone app hopefully demonstrates the true potential of this gateway and with 2.2 only months away and further robust features being built into the API you can expect more developments soon. If you have any extensions or ideas you think would improve WooCommerce, you can submit those right here. 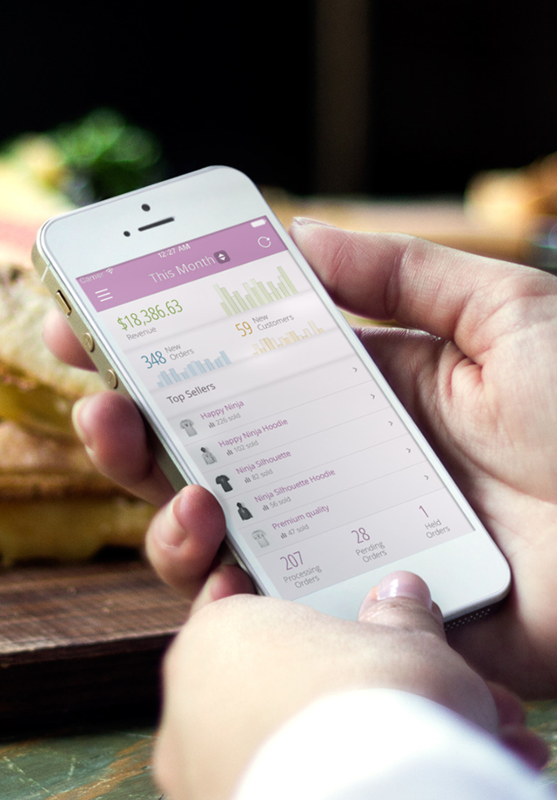 The UI of this app was lovingly crafted by James Koster – designer behind WooCommerce itself. We’re hugely excited about the future of this project and will be closely following it’s uptake and usage. We hope to provide other mobile platform applications should they be a popular request. How long should the initial import take? I’ve been sitting here for 30 minutes. I only have 60 products and 438 orders overall. Any suggestions? Any plans for Android? I have an iPhone, but my clients have Android. Yes Please! Android app as soon as possible please!!! Great, Any plan for Android devices? I just got the same email and was wondering the same thing…please tell me that was a typo? first of all great news for wooshop owners, iPhone users and mobile first clients like me. Hope there will be also a windows phone app in the near future for business user needs with a ms-infrastructure. A. What is a Mexican wave? FYI – We are experiencing a humanitarian crisis on our border here to Mexico and this is just about the equivalent of serving steak to vegetarians. Could it be that Mexicans celebrates a lot? If you’ve been to any sporting event, you’d likely participated in “The Wave”. I’ve never heard of “The Mexican Wave” but it appears that name is given to this activity at sporting events outside North America, because it was done in the 86 World Cup in Mexico. Me thinks Mexicans are not going to like this explanation no matters what holmes! Yes, they’ll be just as upset as the French are at french fries, the Belgians are at belgian waffles, and the Scottish are at scotch tape. A Mexican stand-off on on a Mexican stand-up! I think it’s a world cup reference. The Mexican Wave is that stadium activity where the crowd creates a wave that repeatedly goes around the entire stadium. BBC Article – Who invented the Mexican Wave? Looks like your numbers are a bit off. Have a look here. Sorry, worldwide market share was 78% Android, 18% IOS, in Q4 2013. Your stats at US only. Not exactly 80% of the market of all smartphones, just 2013, but you get the idea. Apple are only 1 company (or at least, 1 brand). Therefore iOS and it’s devices are only made by 1 brand. It is not surprising that those percentages are that high. 1 brand vs LOADS of them. If Apple opened up its hardware to 3rd party OEMs flying their logo on an Apple flavoured device, then those figures would be drastically different, but alas, they don’t and they aren’t. I’m trying to get them to also integrate push notifications as well for things such as Subscriptions payments going through. It’s nice when you don’t have to keep opening the app to just find out if a payment failed or not, seeing how for some bizarre reason WC Subscriptions only sends out an email notification to the shop manager when a payment is successful – odd/frustrating. Oh well, but yes, the Android App exists already. Woo has an iOS app, whereas the one I mentioned is currently only for Android. Yeah… woosales is garbage. It has a nice montly graph, but all the rest of the data is just year to date or from be beginning of time. It doesn’t let you get more detailed than that. It does display the latest 10 sales with their statuses, which is nice, though, but it’s godawful for what it should be. And by the way, $5 for the official woocommerce app is a bargain in comparison. Even though it’s a few more clicks, I’d rather use the reports built into the wp admin than deal with an app that doesn’t display the information I want/need. Any plans for a payment processing device so that people can take payments on location? E.g. can we somehow integrate with Square or PayPal Here? It could definitely happen, as we can build in the bits to make it possible, but it would take work on the other companies parts as well to make an API open for developers to use. This looks good, thanks. I have a few questions. Any timeline on when push notifications will be integrated? Any idea when an Android app will be released? We know push notifications are a really important feature and we’re working on the best way to get them added 🙂 An Android version is planned but hasn’t started development yet. Chicago area here as well but there’s many more Galaxy Android phones than iPhones for me. A far amount of Nexus clients too. Guys, the World is using Android Phones and not EGG Phones! Excellent work, guys. Storeowners now have a much better reason to use WooCommerce! I could agree more with those calling for an Android app. Being both an iOS and Android user, I can unbiasedly say that building an iOS app first was a wrong move. Virtually all of my clients are on Android. That said, I will check out the app on iOS. this should have push notifications based on certain alert levels like drop in sales avg or spike in traffic or out of stock. And then some Woocommerce sites have users that are primarily on iPhone/iPad. According to google analytics, more than 80% of my clients use iPhones. Go figure. Since this isn’t for our customers (yet), it makes sense to invest in both iOS and Android. Guys, once again, thanks for developing this app. Very cool. Another vote for Android. Most of my clients use Android. I’ve just purchased the App, but it’s not working. I followed all the steps, and all I get is “Invalid Key or Secret”. “Your consumer key and/or secret are incorrect. Check your credentials and try again”. LOL all the hate for Apple, I’m loving that since I am a crackberry addict. Of course I would love to see an native app for BB10 but I would settle for the android version if one is made. The clients that I know that might use this at the $5 price tag are Android users so I guess I will wait..
Hey guys. Just got your email promoting the new app! Way cool. I’m sure this isn’t the appropriate place to bring this up, so feel free to not add it to the comments. It was just the easiest way to give you a heads up. On your description page for the app (http://woocommerce.com/woocommerce-ios/) the has a z-index too high to allow the submenu dropdown in the header to be fully used. It’s currently set to a z-index of 99, it appears that if you were to take it down to at least 98 it rectifies the issue. Let me know if I can assist your team with anything else. Love this company! Your comment engine stomped out my html code and the div id was lost. The problematic div I was referring to above has the id of “page-heading”. Noticed that too, I’ll create an issue on Github for it. Thank you! This looks great! Any plans for an Android app? For the people looking for a reason to be self-righteous here’s some info on mexican waves. Sounds very cool, congrats on doing this — to us! I’ve been wanting an easy app like this. Now if you can enable it so that I can place orders live with a customer, or have an app that allows customers to place orders directly on their iPhone or iPad, THAT would be cool. I do live events with customers, and it would be great if I could do orders live on my phone while I’m talking to them. Thanks 🙂 We have order creation on the roadmap! Any support for multiple store? What about a white label version? The current versions supports adding up to 4 different stores 🙂 No plans at the moment for a white label version. Well done WooThemes and SkyVerge! It’s a great app that will benefit store owners! Completely agree. Congrats to WooThemes and SkyVerge for another awesome addition to WooCommerce. Looks super slick. Any chance for some screenshots / photos of how it looks for iPad. Hey Raison, the app’s currently native for iPhone, but you can run it in compatibility on the iPad. Such a great idea, but why do y’all have to monetize everything? I understand WooCommerce is free and that’s amazing, but every time I come to your site for a solution I have to pay $200 for it. It’s starting to wear me down, you know? I was so fired up about this app and your brand, but not when I saw a price tag. Just my two cents. WooCommerce is your flagship free product that brings people to you, and you should continue to add free value to that. Make power users who need extensions pay instead. The iOS app is $4.99. Compared to the amount of development that went into it that’s not a lot of money. Plugins are $49 to $199. Compared to the amount of development that went into them that’s not a lot of money. If having real-time sales stats at your fingertips without having to click through the wp-admin to get to the reports (which aren’t exactly mobile friendly) isn’t worth a measly one-time $5 purchase, then clearly you don’t need this. What’s the problem? Great move Woo & Sky! i tried to buy the app, but it is only available in the US. bought it and excited to try it out! The app release is a superb accomplishment Woo. Congrats. I have entered it several times with the http:// and without but no luck. It’s ok, just realised I have not updated to the latest version of WooCommerce so that will be the reason it’s not working. Glad you got that sorted and figured out, hope all is well now! Know your customer. There is no Android v iPhone war. Your customer has a preference based on their social circle, ‘walled garden’ preference, available cash and peer perceived status. It doesn’t matter what they have… it does tell you what you need to market and talk around to relate to them. Many studies have shown that the higher the available cash and expected status symbology, the more likely they will have an iphone. Know your market. It’s awesome that so many of you know what your customers have. Kudos for Woo bringing out the iphone version and I look forward to the android one soon. Congratulations Woo on another awesome tool to keep you at the top of the game. Can I manage order status’ in the app? Including the custom ones? Hey Thomas, you can currently view all order statuses and notes, but we’re already working on the ability to update order statuses from the app, so this should be in the next major release. An app for bringing my store to iOS would have been of more use for me. There is a WooCommerce extension on their site for your shop to be built into an iOS and Android app. One of my clients has over 120,000 products in their store. I take it the iphone app would not cope with that many products. Even on the base store the products stopped displaying on the Woocommerce admin side products page after importing around 40,000 products which I have assumed will be due to a hosting issue that I have not yet managed to resolve. Well, the app itself ultimately relies on the server to run WooCommerce and get info from it’s API. So if you have any memory/performance issues there I assume the iOS app would hit the same wall (whether that be a server memory limit, CPU, etc…). Well, I guess I need to keep my finger on the Woo pulse a bit better. I must have missed the announcement that Woo founder Adii Pienaar has left the company. Who is now running Woo as “CEO” and what structure is the company leadership now under? Adii exited the company last year, and myself and Mark, in addition with the leadership team, is running the company now. Sounds like Woo is in good hands! Congratulations on the iOS app.. I think as it adds new features in future it will become more useful. Smart Reporter for WooCommerce (http://wordpress.org/plugins/smart-reporter-for-wp-e-commerce/) works responsive and can give you a lot of useful stats about your WooCommerce store. Our ecommerce analytics software Putler (http://www.putler.com/) has a free plan and a free WooCommerce Connector as well. Plus it has Putler Now mobile apps for iOS and Android (and web version too). This is especially useful for multi store / multi payment gateway situations too where you want reliable reporting. Really looking forward to being able to do more store admin with the Woo iOS app! Any clue on where the photography extrension that you planned for release in Q2 this year is hiding?